This product is tested against the European standard European Reaction to Fire test BS EN 13501-1 in order for it to comply with regulations for mounting it in public areas such as hallways, corridors, stairways etc. They can have also achieved a value of 0.8 for Noise Reduction Coefficient making them a useful addition to loud and busy areas. 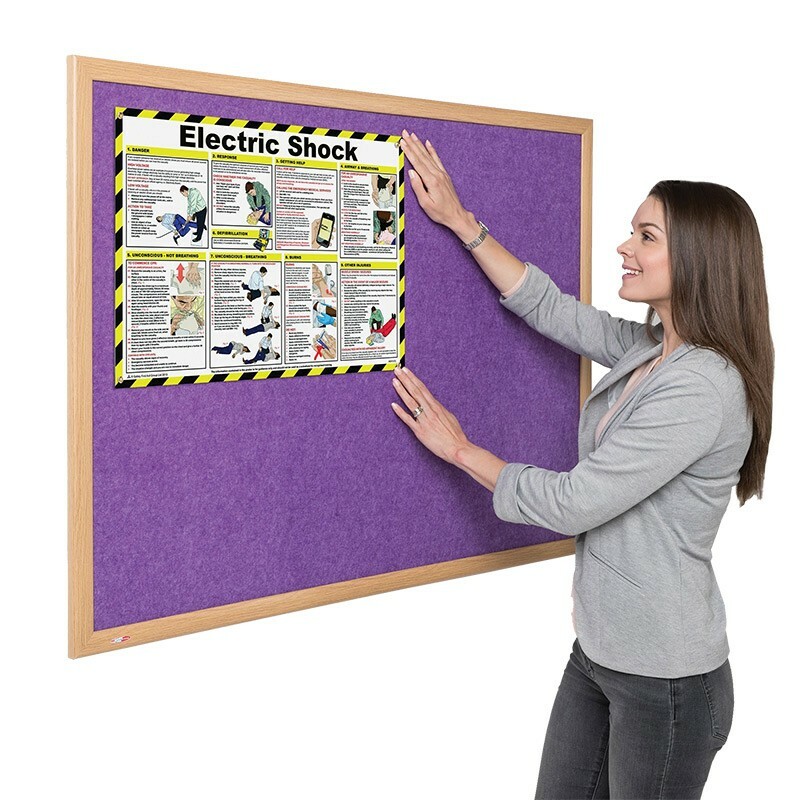 This pinnable noticeboard comes with 35mm frame in wood finish and is available in 11 colours to suit different locations and environments. 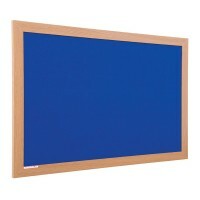 Made in the UK by Metroplan, it is an extremely attractive and functional display - all at a great price.